"Look for the numbers on the mailbox or you'll miss it." Those instructions were from Bill Canihan Jr, the owner of the family winery with roots that go back to Switzerland where his grandfather was born. Looking for a better life, his grandfathers journey led him to San Francisco where he developed a passion for wine, a love that was handed down to his son-in-law who purchased a farm in Sonoma in 1973. Fast forward a few years and his grandson, once a successful mortgage broker, is responsible for making some of the best Pinot Noirs and Syrahs you'll ever taste. Seriously good stuff! 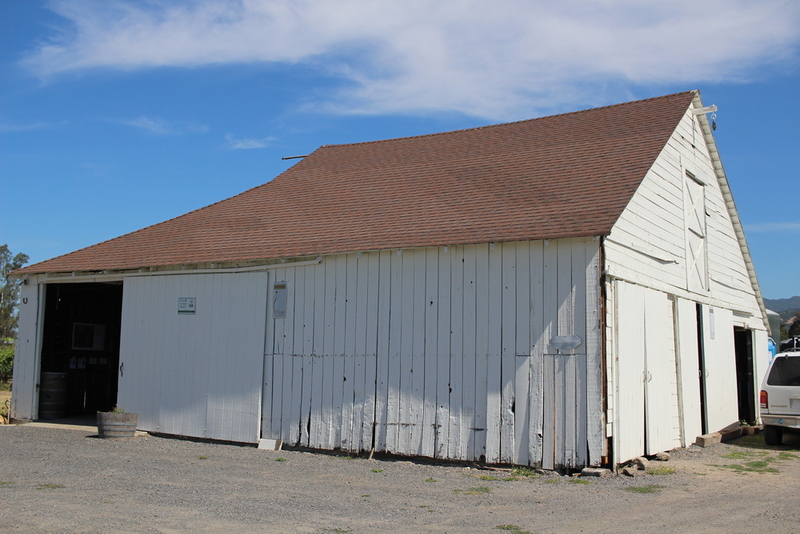 The barn serves as the tasting room at Canihan Winery. This is the tasting room? I like it! What's most apparent is the stark contrast of the tasting room to the mega wineries popping up in Napa. Don't get me wrong, I love Napa and love a grand tasting room as much as the next guy but when you drive down the dusty road and end up at a rickety barn you quickly forget about Persian columns and chrome rabbits. It's a bit like changing the radio dial from rap to John Denver. What? No tram ride? No gargoyles? Nope, there's not even a bocce ball court! But there's wine, lots of really great wine. Bill Canihan pouring his wines in the barn in Sonoma. 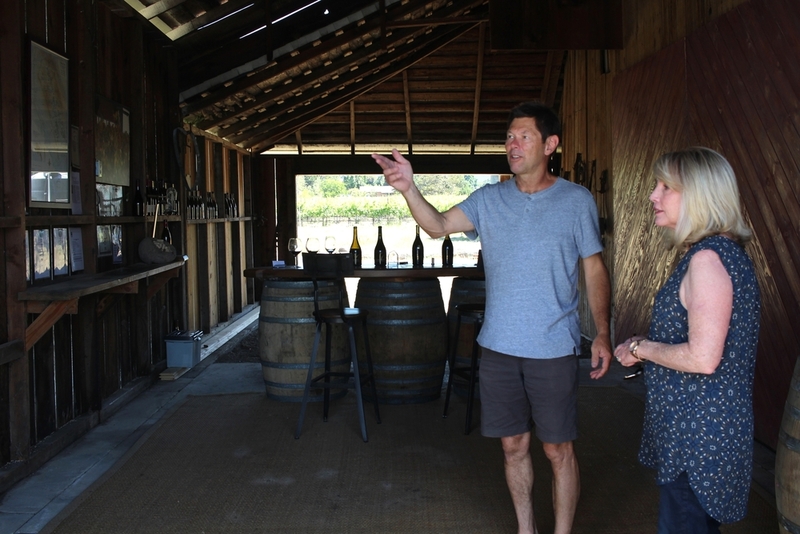 The tasting room is the barn, bottles set up on a rustic table made from Redwood barrel staves that were used to age wine in the '60's and balanced on wine barrels. There was no interior designer here and that's fine with me. Bill pours the wine himself on most days, happily telling you about the awards and humbly describing his wines - mainly pinot noir and syrah's. As an occasional fly buzzed by (it is a barn, after all), it just struck me that this is what wine tasting is all about - wine, people, conversation. Bill Canihan waves us into the barn. Yes, this is where you taste! And Bill is a super nice guy. There's no pretense, there's no script, he's just pouring wines and sipping them with you like he's known you forever. Stacked along the barn wall were empties, every year and every wine he has produced represented, including the 2003 Pinot that started it all and the 2004 Syrah that won his first set of awards. The wines were beyond excellent, really some of the best I've tasted on this trip. Canihan Winery makes small yield, high quality wines, focused on quality and aimed at the discriminating wine lover. But don't let that scare you off - the tasting experience is fun, friendly, and educational (in a good way). Really, even if you are a newbie to wine tasting this is a great stop. TIP: Did you know you can get a two for one tasting at Canihan if you show them your Priority Wine Pass? Get yours today and don't forget to use promo code localwally to get my readers' discount! Just $39.99, it opens up two for one tastings all over Napa and Sonoma. So good - the wines are impressive. Not a prop! This is a real farm. You will want to taste here! Tractors, chickens, and farmhouse dogs, an authentic experience. In the end you can't help but buy a few bottles. And that's my wine tasting etiquette tip - while it's certainly OK to not buy at Robert Mondavi or Beringer, when visiting a small winery buying wine at the winery is what keeps them in business. Bottles are in the $50 range, quite reasonable for wines of this caliber and a good choice for bringing home to share with friends. Or bring it to dinner that night. Now that's a good plan! Bill waives the tasting fee with a bottle purchase as if you needed more incentive. Canihan Winery in Sonoma - Put it on your bucket list of wineries to visit! Perhaps one of the best wine tasting experiences you will have. So when the crowds at the giant mega wineries get you down and you want a wine tasting experience that connects to the winery the way the wines connect to the soil, get off the beaten track and take that short drive to Sonoma. 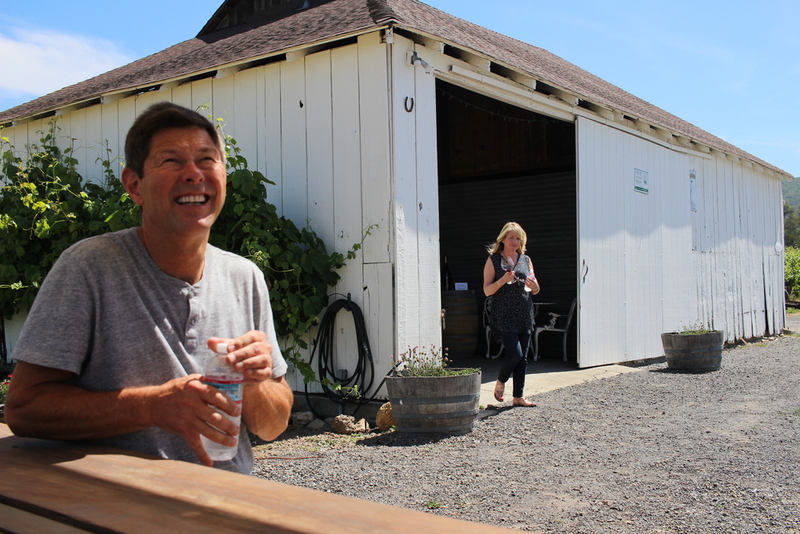 Make your way to Canihan Winery and experience wine tasting where the wine - and the people who made them - are the focus. CANIHAN WINERY: RESERVATIONS REQUIRED - CALL (415) 990-9270 AND DON'T FORGET TO TELL THEM LOCAL WALLY SENT YOU!